Hi everyone! Happy weekend. 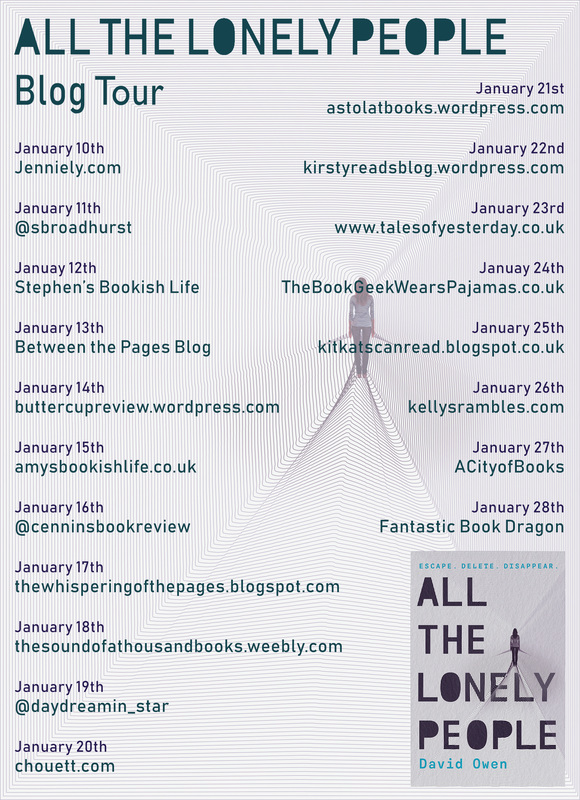 Today I’m delighted to be sharing my review of the thought provoking All The Lonely People by David Owen as part of the blog tour. I thoroughly enjoyed this book and highly recommend it. I’d like to say a huge thank you to Sophia at Atom Books for gifting me a free copy of the book in exchange for a fair and honest review for the blog tour. 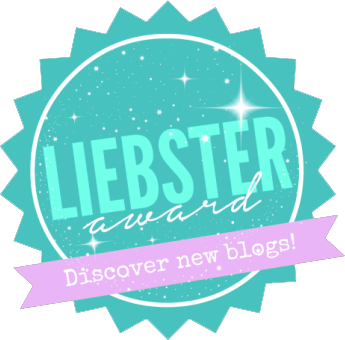 Check out my review below and don’t forget to read all the other fab posts on the tour! 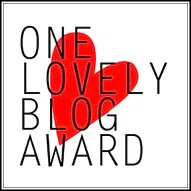 All the Lonely People is a timely story about online culture – both good and bad – that explores the experience of loneliness in a connected world, and the power of kindness and empathy over hatred. 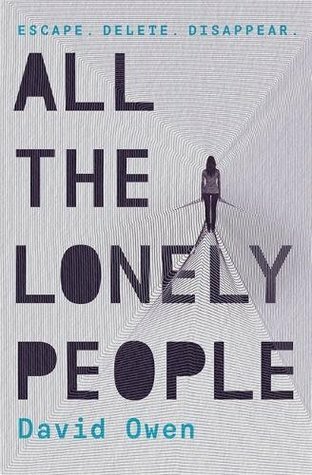 All The Lonely People is a book that so many readers will be able to relate to. 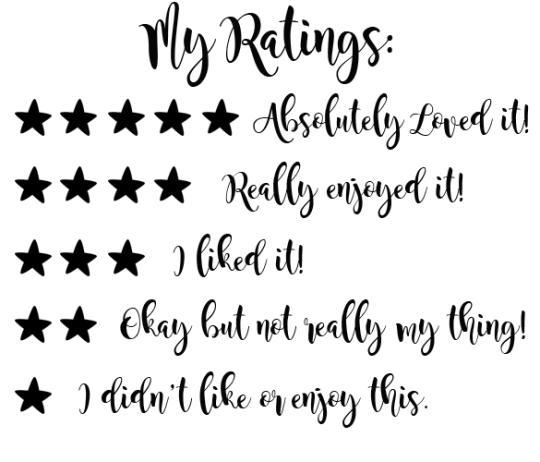 It deftly explores the effects of social media in a way that I’ve not seen in YA books before and ultimately takes a close look at how lonely people can feel in this modern world. I loved how honest the portrayal of Kat’s fading from the world was. So many of us have built up our online profiles but how different are they to our real life? Do we live vicariously through our own online personas? I thought this book had some really thought provoking messages and it definitely left me thinking and questioning my own online profiles and social media usage. I loved the idea of your existence literally fading without your online profile being active. The fact that without your online profiles you could easily fade out of everyone’s lives and go totally unnoticed to the point where you are completely forgotten about is both terrifying and thought provoking. 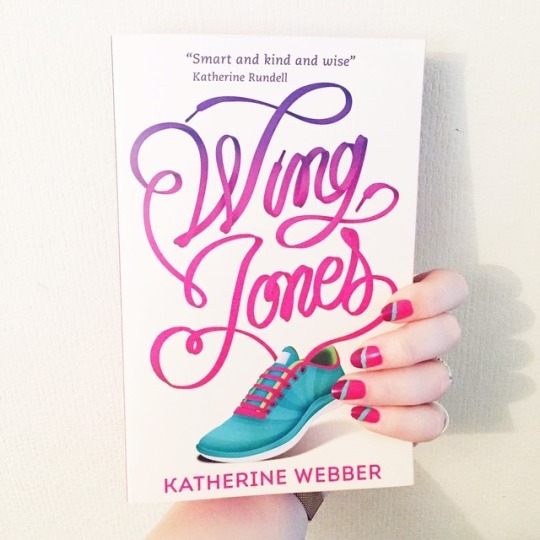 Whilst this book had an interesting spin on the extent to which social media can affect a teenagers life, it also took a glimpse at the much darker side of social media. The side where young boys (especially) can be indoctrinated by online alt-right communities and how this can affect their lives and choices too. There is more to the online trolling in this book than you first think and it shows the quite shocking lengths to which some young people may go to in order to be part of the ‘in crowd’. I really liked both of the main protagonists. Kat, who is fading from existence after being trolled online, was a strong willed and fierce protagonist. I could easily empathise with how she was feeling having lost her online life and really would like to give her a big old hug. I also really liked Wes, for all his faults. I liked the way the story between the two played out by the end and also getting to read the contrasting complexities of their individual lives but how their choices ended up taking them down quite different routes. Overall I thought All The Lonely People was a brilliant read. A timely and thought provoking novel that will leave your mind pondering your own relationship to the Internet. Have you read All The Lonely People? Is it on your TBR? How much of your online persona matches your ‘real’ life? This sounds like a great read. I’m looking forward to getting round to it. Oh what an excellent review! I loved All The Lonely People. What an interesting concept! I find it really interesting that she starts fading when her online presence is removed and it really opens up a conversation around how much of an impact social media – and the internet – has on people’s lives. For some, it’s the only social interaction they have. Onto the TBR it goes. Great review! Fab post! This book sounds right up my street. Will be adding it to my TBR list.